Good news or bad news? Your views? 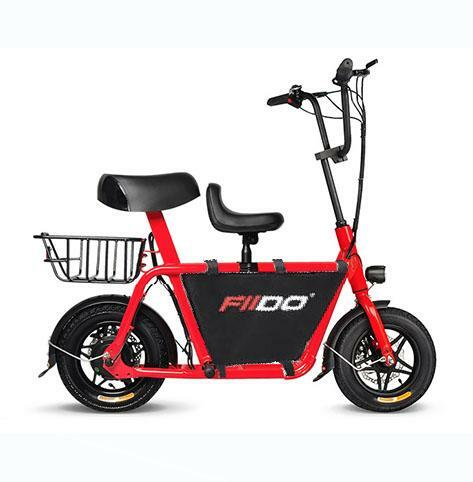 Cyclists and users of personal mobility devices (PMDs) such as e-scooters will soon have to adhere to a lower speed limit when travelling on footpaths, after the Government accepted an advisory panel’s recommendations. Starting early 2019, the current 15kmh speed limit on footpaths for PMDs and bicycles will be brought down to 10kmh. The lower speed will give PMD users, cyclists and pedestrians enough time to react to each other in unforeseen circumstances, the Ministry of Transport (MOT) said on Tuesday (Sep 4). “All riders must continue to give way to pedestrians and slow down when approaching crowded areas or blind spots. Riders should also exercise caution when overtaking other path users,” the ministry said in a press release. I am a both biker and pedestrian lah so I think this is logical to guarantee the safety of both. Nowadays there are usually 2 lanes so pedestrian should stick only to foot path and not wandered into the bike path. Here are 2 of the hottest model in singapore. LTA compliant too. IMHO, this is the "killer" statement. At road crossings, cyclists and PMD users must stop and look out for vehicles, before resuming their journeys. The killer for most PMD users is actually is the speed limit of 10km/h. How come stop is the killer? Car approaching a crossing. "Out of nowhere" a PMD appears and zoom pass. The car driver can only KPKB and also no way to identify PMD user. Car approaching a crossing. "Out of nowhere" a PMD appears and zoom pass not stopping. The car driver KPKB and send video with PMD license plate to whoever to report. Edited by Kklee, 04 September 2018 - 12:39 PM. 4.13 Thus, the Panel recommends making it mandatory for active mobility device users to stop and look out at road crossings before riding across at a slow speed. This would provide more reaction time for both active mobility device users and motorists, improve the predictability of behaviours at crossings and reduce the risk of accidents. The Panel also recognises that motorists have a part to play in ensuring safety at road crossings. Thus, the Panel also strongly encourages motorists to likewise slow down at crossings, and stop for all path users who are crossing, including cyclists, PMD users and pedestrians. The Panel also recommends continual education of the respective road users on the safe behaviours to practise at road crossings. The enforcement is extremely difficult. There are so many footpaths in Singapore. How they going to catch the speed limit thing? Edited by Hamburger, 04 September 2018 - 12:57 PM. What's the 2 words ppl always say? Oh yeah..."waste breath". 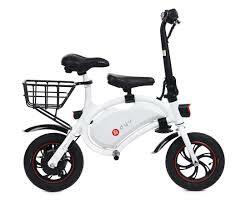 since the e-bike started registration, there are lesser e-bike on the road (just my observation). thought got some here said must disembark and cross the road? "Cyclists and PMD users will also be required to wear helmets when travelling on roads." The main problematic ones are those who knowingly break the current 15km/h rule by using illegal mod escooter. Lowering to 10km/h won't do anything to this group of illegal mod riders. They will still be around after the rule set in. Need more effective enforcement and severe punishment. They shouldn't rule out mandatory 3rd party insurance too. You don’t stop running because you get old, you get old because you stop running. Govt can just do what it is best at doing. Fear. Catch a few pple who broke the 10km/h rule, fine them, confiscate their PMDs and put it on the news. Or... there is an even better method... reward pedestrians who report them. Suddenly the whole singapore starts to monitor. And next time if someone rides past you faster than your jogging speed... gd luck to them. Can they set up an anonymous hotline for people to baodoh about their neighbours' illegally modified PMD/Electric scooters? Enforcement officers can knock on door or ambush in the vicinity. if not illegally modified, there is nothing to to be afraid of. Just like those LTA hotline for illegally modified vehicles.